Daniel Craig Offered $150 Million for 2 More James Bond Movies? Back in May, Sony Pictures reportedly offered Daniel Craig a whopping 68 million pounds, or close to $100 million, to return as the title character in James Bond 25. Today we have word that the studio is "desperate" to keep the actor on board for two more movies, while they continue their search for a younger, "long-term replacement." This new report claims that the studio has offered Daniel Craig a whopping $150 million to come back for two more 007 movies. Radar Online has this latest news, but it isn't clear if Daniel Craig plans on accepting this offer to return as 007. Back in May, it was rumored that the actor was "undecided" about returning as Bond, and we haven't heard anything official about whether or not Daniel Craig has made up his mind yet. Here's what an unidentified source had to say about the studio's huge offer. "The studio is desperate to secure the actor's services while they phase in a younger long-term successor. (Daniel Craig) has played a genius hand. Everyone knows how much executives adore him, and the idea of losing him at such a crucial time in the franchise isn't an option as far as all the studio honchos are concerned." We have previously reported that Sony's distribution deal for the 007 franchise ended with Spectre. This new report claims that Sony plans on announcing their deal to retain the distribution rights, re-upping their deal with Eon Productions. 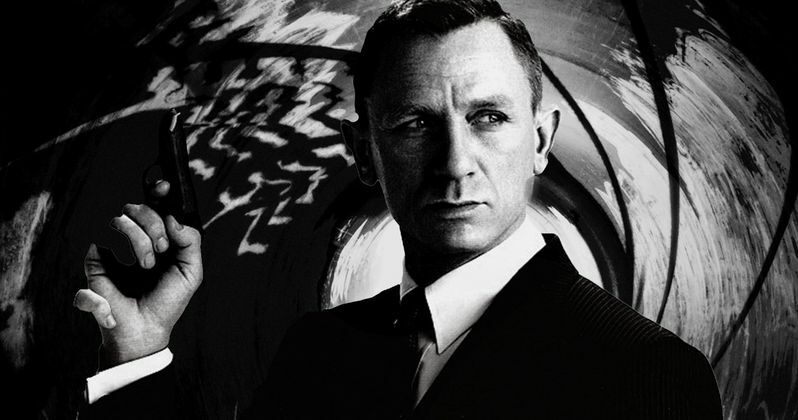 The studio reportedly wants to finalize their deal with Daniel Craig so they can announce two more James Bond movies. Here's what the unidentified source had to say. "Daniel's the key for a seamless, safe transition as far as Sony and Bond bosses are concerned, and they're prepared to pay a king's ransom to make it happen. Then they will shoot two more films, which will be made virtually back-to-back, preferably featuring Daniel as 007 before he passes the figurative baton to someone else for a third movie that will mark the start of the new era." We also know that Skyfall and Spectre director Sam Mendes will also not be back for James Bond 25. Among the numerous contenders for James Bond are Tom Hiddleston, Idris Elba and Michael Fassbender. They are all reportedly on the short list to replace Daniel Craig. Charlie Hunnam and Luke Evans were also mentioned in a recent report along with Aiden Turner. The report also mentions that Jamie Bell and James Norton have met with producers, but are not on the actual shortlist.